The most important thing in any endeavour is undoubtedly the foundations it is based upon, so to be a good Certified Nurse Assistant depends greatly upon the extent and level of your CNA training. Essential to any good training is of course a great instructor as well as a comprehensive curriculum from an accredited institution. For those unaware of the effort, dedication, compassion and detail that go into nursing, they are sure to be quite amazed at what it really takes. Nursing is so much more than just care giving, and since the profession has developed and expanded so much over the years, especially of late, the duties and accordingly, the training,, has had to step up to the greater challenge it faces. Lives have always been at the core of the nursing profession, that being the lives of others; so with this responsibility, nurses have always gone through highly specified and stringent training in order to gain an adequate level of competency in the role. Essential to any medical operation is the actual healing that takes place; doctors diagnose and operate on the patient, but it’s the nurses who provide the care to enable and support the healing process. However, although this role may seem, on the surface anyway, to be a rather simple one, it most certainly is not. Essentially though, it should be a simple task, but the common denominator and effectively the governing factor throughout, is humans. People are complicated, and when it comes to medicine and care giving, the lines which define simplicity in the job can become quite blurry. The “simple” task of cleaning a patient who is bed ridden becomes quite complex when you factor in the notion of having to bath a complete stranger, and showing the necessary respect in performing the deed. That of course is not considering the nature of the patient, their illness and their attitude during such a humbling act – that is of course presuming the patient is coherent, if not, then that presents a unique challenge in itself. For this reason, and many more, nurses of all kinds command great respect due to the level of compassion and even sacrifice they offer in order to perform their tasks. It’s no wonder then that there’s a nursing shortage and that this predicament we face will only be compounded in years to come. Finding people to commit to such a physically, mentally, emotionally and even spiritually demanding job is proving to be difficult as retirements in the profession increase, in conjunction with the percentage of the population needing special care – referring predominantly to the aging. It speaks volumes that even though classes for CNA training programs, as well as all other nursing faculties, are filled with students; some even presenting a challenge to find placement, the problem yet persists. It illustrates just how important the position of nurses really is to the medical team. The Certified Nursing Assistant program presents a convenient way for citizens to equip themselves to care for loved ones needing special care, a real problem today with the current strain on the health care system. Moreover, people are also adopting this approach due to the seemingly never ending recession, as costs for the upkeep of a loved one at a nursing care facility can often be beyond the budgetary reach of some citizens. Senior citizens care after all, particularly in nursing homes, is the primary area wherein CNA’s are needed and employed. What Does CNA Training Encompass? Although the course may only last in the region of six to twelve weeks, the content is actually surprisingly vast in its own right. Don’t allow the words ‘assistant’ or ‘aid’ fool you, the role is very hands-on, and it requires a great deal from every student. First and foremost, prior to any course, you’ll need a high school diploma or GED equivalency to apply. Finding a college or university in your area is the next step in the road to certification. It is important that every prospective student undertakes the necessary research prior to enrolling in any institution, to ensure that they fully understand the nature and demands of the course before them. Perhaps another piece of advice is to pass your queries on to an already certified, registered or former nurse to gauge the profession. 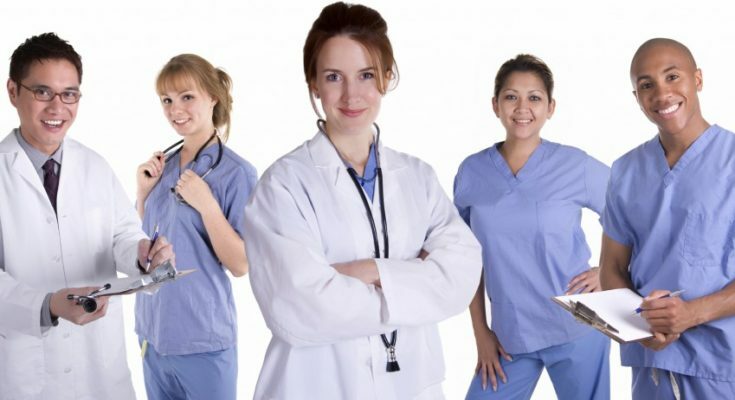 If they know you personally then they’ll be able to inform you on whether or not becoming a nurse aid is the right fit for you, because any nursing course takes a special type of individual with very unique qualities. Of course many of those qualities can be learned, but there are those people that are simply born with a care giving nature. So, the training itself includes many facets. Above all you can divide them into two categories, that of theory and practice. The final CNA exam will comprise of those two facets with a written portion (made up of many multiple choice questions) and a skills test, to judge your applied knowledge within a work environment. Although the theoretical aspect of the course presents quite a challenge, it is the physical training that will be the subject of great focus as the nursing assistant’s role is immensely reliant on hands-on skills. This will include a full syllabus with the four core subjects of Anatomy, First Aid, Communication and Primary patient care. You may find that some courses contain programs with these subjects but under different names as well as being in addition to other topics such as Terminology and computer skills in some expanded forms. Primary patient care though, is a vast topic that comprises many little intricacies and details, the nature of which needs to be well noted by the CNA candidate. Also under the primary patient care banner, is the all-important subject of hygiene (practically a subject deserving of individual focus) of your person, the patient as well as your workspace. This is an area where many struggle due to the fact that when it comes to the skills test, the student is required to perform a set of tasks under the watchful eye of an examiner, so fine details are crucial to passing. It is imperative that prospective CNA students make the most of their apprenticeship training as they seek to gain as many hours of in-service training as they can to earn CNA certification. First Aid as well as CPR. Inserting, checking and changing IV’s as well as administering some medication (under appropriate supervision) and becoming familiar with certain medical equipment (to the point where they will be able to assist and instruct patients on their workings and application methods). Bathing and feeding bed ridden patients. Sanitation; how to keep themselves and their workspace clean and hygienic to minimize the threat of infection – an ever present danger when constantly working with people in general, in addition to the ill or wounded. Changing the dressing on patients’ wounds. Most of the skills learned pertain to the area of primary care, and what many people do not realize is the fact that this area can often be quite complex as they undoubtedly contain very specific parameters of how a patient should be taken care of. Certified Nursing Assistant training is also a test of response and how a student reacts to certain situations, all of which have regulated procedures to aid the Nurse assistant in obtaining the correct and desired outcome. Often this may involve patients who are either combative, or have little knowledge of their actions, such as those with mental illness. If you’re looking for more detail, a good place to start would be to obtain a recent CNA practice test and have a look at some of their questions, thus gaining a better understanding of what’s required and what is to come. Needless to say that the level of training and the competency of the instructor will play a very large role in determining whether or not the students gain the most training a CNA should receive in order to deliver top quality service. Rest assured though that there are plenty of major, recognized and respected accredited colleges, universities and training facilities that offer the best in CNA training, with a number of them offering online courses as well, to make studying (the theoretical side) even more convenient and accessible. Of course the actual physical training will take place in a hospital, clinic or care facility, so considerations and preparations need to be made for those willing to take this route. As with the eventual job, wherein the CNA will be supervised by either an LPN (Licensed Practical Nurse) or RN (Registered Nurse), the CNA’s in-service training will also be conducted by the likes, depending on the student’s placement. Noting their scope of responsibilities, it’s easy to see why nurses (and in many cases ‘in particular’ CNA’s) are an indispensable pillar of the medical industry. They are the indelible link between the doctor and the patient (already a special relationship), who provide that much needed human element of care giving, communication and comfort. Dealing with combative and uncooperative patients. Training in the correct methods of feeding and administering medication. Handling patients with mental illness or those suffering from delirium and disorientation. Communicating with patients’ loved ones in the correct manner both in cases of grief and pending medical procedures. the best ways of maintaining sanitation, of residents, the workspace and oneself. Prescribed manners of giving patients assistance; for instance aiding a person with Parkinson’s, or simply someone having difficulty walking. Much of the CNA final exam covers these sorts of topics, in testing your knowledge in dealing with patients in specific ways, and adhering to protocol and trained procedures. Details are of utmost importance, particularly in primary patient care (procedures have been developed for a very good reason – they are tried and tested with strong roots in medical practice to ensure the best care for each patient). There are slight concessions in some states where certain protocols may differ, though this should not affect a prospective CNA student, unless they’re considering moving to a different state. Some have likened the CNA training (specifically the final exam), to that of a driver’s test (though obviously more detailed). The feeling apparently is the same, where many have failed due to overlooking or neglecting minor details – in the skills test you’re allowed three chances before the examiner fails you entirely (regardless of your written test mark). In many professions you’ll hear of qualities needed that cannot physically be trained, it comes naturally to the individual. In other fields one might label it a talent or a calling and it takes something special for a person to perform at the adequate standard and call themselves a nurse. The act of caring for another individual that has no ties whatsoever to the nursing assistant, is a special calling as certain intimate boundaries are crossed. Of course a screening process is undertaken before any prospective CNA candidate applies for a training course to ascertain whether or not they possess the necessary ‘material’ to make a good nursing aid. A person with a criminal record for instance, may not apply (unless certain concessions or allowances are made by the state with regard to the nature of the crime). As you can imagine, when providing care and comfort, one needs unique qualities as one will often encounter messy scenarios – besides cleaning patients, CNA’s will also be tasked with cleaning up after certain ‘mishaps’, which will inevitably occur with the sick, incapacitated and wounded. The CNA cannot afford to be squeamish, and has to have a solid resolve in dealing with whatever comes there way. Another quality that will be of importance is their physical health. As a member of the health care team, CNA’s will need to ensure that they maintain good habits and keep up a certain level of fitness as they’ll be required to lift patients, push them (gurney’s and wheelchairs) as well as assist with physical treatment. The latter may include simple physical therapy for bed ridden residents, or aiding a patient with walking. Certified Nurse Assistants will be on their feet for very long periods, so the work will be physically demanding at times as well. Subservience is yet another quality that may not be apparent from the outset. As a Nurse Aid you’ll be under the supervision of more senior nurses like an LPN or RN and will be required to follow their instruction and guidance. The ability to perform such a selfless service whilst simultaneously receiving instruction leaves little doubt as to the special qualities one needs to possess in order to be a good CNA. Being a so-called ‘peoples person’ may not be a prerequisite of any Nursing Aid program, but it’s definitely implied and certainly helps as your entire job is centered around people, both patients and their loved ones. Although medical expenses affects just about everyone, and hits households even harder now in these troubled financial times; CNA training offers several solutions to a variety of problems. If you’ve got a loved one that needs special care, but cannot afford the premiums of a healthcare facility or hospital bills, CNA training provides a viable alternative as you can then be trained to take care of your loved ones at home. That training is provided by a variety of institutions with a number of them offering online CNA courses as well – all one will have to do is complete the theoretical training and then conduct the adequate number of in-service hours to qualify for the certification exam. The length of the entire process could well depend on the student themselves. Another scenario is the free CNA training programs offered by a couple of establishments, fully accredited and with a solid reputation (as offered by one or two institutions and most notably, the Red Cross). This free education will provide a number of people with qualifications and practically guarantee them finding a job, especially in the face of the current nursing shortage. So, depending on your situation, CNA training offers a number of convenient solutions, especially for those looking specifically for special care. Others still may be seeking a career in the medical field, and CNA training is the veritable entry into the nursing arena with many further job opportunities on offer in this growing profession. Many CNA’s will seek to expand on their nursing portfolio once they’ve gained more experience, in which case bridging courses are often considered to improve their qualification, namely the CNA to LPN and thence the LPN to RN courses. Of all the Nurses (alongside registered and licenced nurses), the CNA understandably has the lowest qualification with the corresponding salary, but over the years this profession has revealed itself as an indispensable part of the medical industry. The CNA’s responsibilities are vast and essential to the healthcare team’s cause (despite the relatively short training period and comparatively limited curriculum) and they command their own level of respect. CNA training then, can be completed by anyone, but the job requirements can only truly be performed by a gifted few.